Life on Earth began with thermophiliac organisms powered by heat from the Earth's core. Later, surface life evolved. It was powered by the energy from the sun, and then in layers of prey and predators. This page is a description of the energy transfer system known as the food chain and a look at some more esoteric issues surrounding the nature of this system, including discussions of genetically modified food. Improving the System: Why Do Humans Cook? Life started deep in the crust of the Earth, where the oxidation of sulphur was powered by the intense heat from below. These ancient thermophiles eventually multiplied, diversified and evolved to cope with colder and colder climates. When a chance mutation resulted in the production of light-sensitive chemicals, life eventually emerged on the surface and floated in the cooling oceans.1. Micro-organisms are still the most diverse and successful forms of life on the planet. Depending on how you count, bacteria makes up nearly 50% of the biomass of the whole Earth3. That's right - nearly half of all life is bacterial (and over half is microscopic1). This provides a massive first-layer, primary food source for slightly complex multicellular life forms. Consumption, like all mechanical engines and chemical pathways, is not 100% efficient. Far from it. At all stages, energy is lost to inefficiency, wasteful digestive systems, and heat production. Prof. Dawkins, the foremost evolutionary biologist, informs us that only ten percent of the energy from one trophic level makes it to the next level up4. This implies that at most trophic levels, the total biomass must decrease, the feeding/hunting area must be bigger, and the digestive systems have probably evolved to be more complicated in order to digest more complicated fats and sugars. It turns out to be true. Bacteria feed over a very small area, plants and primary producers feed over a wider area but in total, less biomass is held in plants than in bacteria (that make up 50%), and eventually, the predatory animals hunt over wide areas, and are massively fewer in number than their prey. 1.2. Improving the System: Why Do Humans Cook? The improved food-consumption efficiency that is gained through cooking, and the learning curve of dealing with fire, and tools, are three things that set humankind on a radical new evolutionary path. Aliens couldn't digest us (or any other life on the top trophic levels) efficiently enough to have become natural prey to us. Energy Efficiency (assuming alien life is a little similar to ours): Life on alien planets could also be dividable into trophic levels; that the greatest abundance of biological chemicals is contained within unicellular lifeforms is great pressure for hungry multicellular species to evolve in a direction that involves digesting single-cell lifeforms. The result is a trophic system. It is also likely that on other planets, as on Earth, the evolution of digestion isn't optimal. The jury-rigged nature of evolution does not mean that the most-efficient routes are always evolved. What works, may survive. In short, there is a maximum limit to the amount of trophic levels you can have. Humans, who shop for food over massive distances (the whole planet), exist at the top level alongside other big omnivores. The footprint of the top hunters is huge, and by and large it is too inefficient for hunters on the top layer to spend time hunting each other. If plankton only process 10% of the sun's energy efficiently, and millions are eaten by fish at only 10% efficiency, etc, it is more efficient for predator fish to eat the next layer down in order to 'collect' the same quantity of plankton-food-mass. To eat each other would result in no net gain of energy into that trophic layer; so, much energy must be obtained from the layers below. At each layer, the storing of fats and sugars gets more complicated. The more complicated the biological chemicals, the harder it is to digest them. That's why bacteria doesn't eat chocolate, but we can. At the top trophic layer, our digestive systems can break-down chocolate into the smaller chemicals prevalent in lower trophic layers, and digest it. We then reassemble it into complex proteins, etc. If aliens visited Earth, they would be unlikely to eat us because the digestive or processing time would be very large (if, of course, they could digest us at all). Alien biological compounds could be comprised of different chemicals to ours, meaning we cannot obtain useful chemicals from eating each other, and probably don't have the right enzymes to digest each other. Incompatibility (assuming alien life started-out its evolution with different chemicals in the atmosphere to what we had on Earth): Proteins, carbohydrates and sugars all 'make sense' to animal digestive systems because all life on Earth has evolved from common sources, in an environment rich in their constituent molecules. On an alien planet where advanced life has evolved, if the starting-point was different, the nature of life's building-blocks will be different. Duplicating molecules, the stuff that causes evolution, grows up to use the molecules that are available. The environment shapes the resultant structure of life. We cannot eat silicon-based chemicals, but we can digest carbon-based ones. If a hot planet produces aliens that eat silicon, they might find all life on Earth to be far too insubstantial, and all but inedible. Given the fussiness of what we can eat, and even the dangerous nature of eating food that is too far removed from our historical diets (i.e., fish, plants, small animals, etc), we could probably not eat life that didn't evolve on Earth, nor could they eat us. But despite these formidable problems, there is another possibility. We know that life can evolve on planets where carbon and other CHOMSP chemicals are abundant and available. It might be that this particular combination is the only efficient way for life to evolve. Of all the planets, life might only evolve on those with the right mix of chemicals. These means that all life could be comprised of many similar chemicals to ours. Not only might there be aliens that can digest us... but all aliens might all be able to digest each other, including us! Although this means that universal cuisine is going to be much more fascinating than planet-by-planet dishes, it also means we haven't quite finished our examination of whether aliens will eat us. Sometimes, Humans eat each other. We tend to be a food-orientated species. Meals, cooking, meats, sauces, all kinds of plant life and fish, are palatable to us. It might be that we see no reason why we can't eat aliens. Some of us, I dare say, would strive to do so. Some aliens might be similar to some Humans: They would love to find out what an alien tastes like! And, legal or illegal, moral or immoral, they might proceed to do so! What if, then, the first aliens that discover Earth are a species, or even just a group of rogues, who are searching in particular for things to eat? And what if life in the universe is largely carbon-based, and we're edible? Perhaps we would engage in some prisoner exchanges, where instead of cremating criminals who have been executed, we part-exchange them for alien meat! But, rogues aside, I think it more likely that the more organized alien species are the ones likely to find us, and also these species are less likely to have rogue spaceships wondering around. 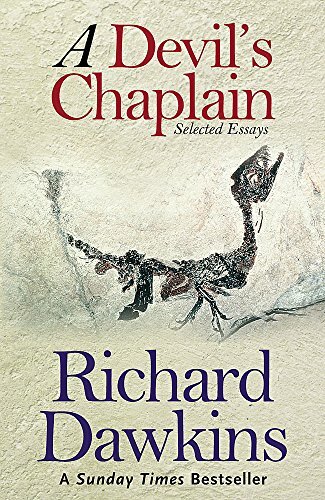 The foremost evolutionary biologist, Prof. Richard Dawkins, points out (2006) that as species-bias decreases in advanced species, we will seek more and more to avoid harming all other animals. This process is of course evident in Earth history. Alien neurology will lead them to understand that animals and foreign species have feelings like theirs, and will eventually evolve culturally to a point where they seek to avoid pain and harm to others. As a result, the chances are alien governments will not try to eat us. Observe the way that the most advanced countries are the least barbaric, and have the most processed, unnatural foods. If this continues, we will stop eating anything that comes from living material. If aliens continue to evolve technologically, they will likely arrive at the same point. Space travel, especially, requires long-term sustenance on non-living food. Advanced space travellers will probably not eat us, after all, and their governments will probably reign-in any rogue aliens that do try to, just like Human societies monitor their own cannibals and bloodsports practitioners. So in summary: It is unlikely that aliens would be able to obtain enough energy from us efficiently in order to need to eat us. In addition, if life evolves under various conditions in the universe, aliens will probably have a biochemical make-up so different from ours that we are mutually inedible and potentially very poisonous to each other. But, if life all over the universe is carbon-based and can not evolve elsewise, we might find aliens can digest us (or us them). However, as advanced society relies less on living food and increasingly processes its food, and continue towards non-violence and non-harm towards an increasing range of animals (apes, baboons, Yorkshiremen, etc), and space-travel is (probably) only possible if you can survive on such processed food, it is very likely that space-faring aliens will not be seeking to eat us. Especially as advanced species probably watch out for transgressions amongst themselves, just like advanced moral countries prevent animal cruelty and bloodsports. In short, if we find aliens they probably can't eat us, and wouldn't. Now, enough about aliens, and back on to purely Earthly and Human concerns, although concerns that are of no less a spurious and otherworldly nature. “The main piece of evidence here is biological matter and the food chain. All life dies - all biological life decays, erodes, fades, becomes diseased and ill if it does not sustain itself. To sustain itself nearly all life, except the least living elements of life, kills and eats other life. If not this, then it consumes biological matter at the expense of other living beings; the fight for food is also a case of living beings being required to outdo each other merely to survive. This desperate, deadly struggle for existence was agonized over by the father of evolutionary theory, Charles Darwin. It is clear that if the system of life was "designed" at all, it was by someone with no morals and not much foresight. Most biological organisms have to engage in violent actions to try and eat other living beings, creating a world of necessary evil and strife, all of which pre-dated mankind (therefore our own free will is not the cause of this endemic natural suffering). How ironic, then, to the point that it is not amusing, that in Genesis 6:13 God justifies The Flood by saying that "the end of all flesh is come before me; for the earth is filled with violence through them; and, behold, I will destroy them with the earth". As you'd expect God, apparently being all-knowing, would have known that that was going to happen! Small animals feed on insects. Large animal predators feed on small predators. This is natural. This is normal. We are not surprised when, one level up, we find that we eat "lower" animals, such as rabbits. It's how it is. Our intelligence and development has made us the arbiter of life on this planet. We value Human lives much more than animal life. So, we side strongly with the survivors of zombie plagues and we feel they have every right to survive by killing zombies, because the living are so much better than them. Through several levels of the food chain, we are happy to admit that it is normal for the higher species to use lower species. But why, then, do we draw the line at our level? Vampires, and the elite, are a level better than the untermensch, so why are we appalled when "they" use us according to the natural laws that we accept? We accept natural laws to justify our using of lower species, so how come we find it so repugnant when higher species use us? The reason is that our justification for the food chain is fake; the real reason is necessity. We will do what it takes to keep on top. Likewise, so will vampires. And so will the human survivors of zombie films: They will kill, in order to keep in power. "Zombies Verses Vampires: The Elite Verses the Masses: 2. The Right to Survive"
"At least another decade of research is needed" before we can even begin to effectively confront the critical issues of scale and cost. Meat in vats, grown in culture from a chemical source derived from animal genetics, will result in meat being grown more like plants than livestock. Such research aims to massively reduce the land and resources used by meat production, increase the safety and nutritional value of meat, stop animal suffering and prevent the further hunting of endangered species for food. It has even been researched by NASA in 2002, as part of an investigation into food production on long-haul space flights17. 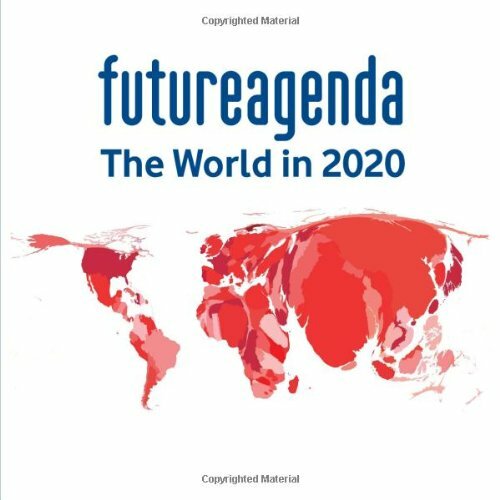 The Economist newspaper in 2006 hailed it as a future industry14. Animal farming as an industry is in distress in the modern world, and is criticized for its heavy use of water and for its inhumane nature. In 2012, the People for the Ethical Treatment of Animals was offering a $1 million prize "for progress in producing meat from cells"18. The potential benefits of growing synthetic meats in a sterile and controlled manner are huge. No livestock needs to be kept in captivity, so, synthetic meat causes no animal suffering, requires no slaughter and no animal transportation. Vegetarians who abstain from meat because of their revulsion of the treatment of animals, could eat synthetically grown meat20. Livestock consume large quantities of antibiotics en masse, which contributes to the emergence of drug-resistant bacteria, especially over the long-term. Synthetic foods are grown in a sterile and controlled environment, where antibiotics are not necessary. Animal diseases cause havoc to food production and even occasionally jump species to infect humans, as happened with the chicken flu. There is no such risk with synthetically grown meat. Meat and animal products are the biggest source of disease in the food industries of the United States, Europe and Canada. Synthetic meat is grown in sterile and controlled conditions, "avoiding Salmonella, E. coli, Capylobacter and other nasties"14 and voiding the requirement for antibiotic chemicals, for which animal meat has to be periodically checked. In 2000, 228 million tons of meat was consumed "and that number is expected to more than double by 2050 as world population swells to nine billion"16. The environmental impact of increasing our meat production in tandem with our general population growth means that solutions such as synthetic meat will become necessary, whether we like it or not! Scale of production of synthetic meat can be altered in sync with demand, without having to worry about what to do with surplus living animals. "We will be able to control not only its flavour but its nutritional composition as well"16 - nutrients can easily be added to the meat (i.e., more iron, more vitamins, omega-3 fatty acids, etc) and the meat's bad contents (fat, etc) can be closely controlled. It is unnatural: The meat is perfectly natural, produced from natural genes found in natural animals, which produce the same natural proteins that they'd create in live animals as well as in cell cultures. We already consume large quantities of unnatural foods such as processed meats and cheeses and foods that are completely altered by chemical actions and factory production. It is dangerous, or, there are unknown risks. Scientists have been growing cell cultures from stem cells for a long time, and, the scientific tests done on this meat have far outstripped the amount of testing we've ever done on livestock meat. Grown synthetic-natural meat is, due to the lack of diseases and natural contaminants, safer than livestock meat. Also, the demonstrated risks of highly processed food (junk food) are quite high. "As Ingrid Newkirk of PETA, an animal-rights group, puts it, 'no one who considers what's in a meat hot dog could genuinely express any revulsion at eating a clean cloned meat product' "14. It makes no sense to continue to eat and drink risky foods (crisps, alcohol, fatty foods) that are known to cause ill health, while protesting against theoretical and unknown risks in healthy food. It will no doubt be an expensive alternative to animal meat for a while. Given the nutritional, health and safety advantages of synthetically grown meat, it will be criticised for being yet-another expensive food that allows developed countries to increase gap between themselves and the poor. If synthetic meat becomes cheaper due to economies of scale and increased efficiency over time, it will be criticized for harming farming markets and pushing down the costs of food. However, given the requirements of increased food productivity whilst using less space and resource, there is little choice but to decrease traditional markets if possible. Taken from "Evolution and the Unintelligent Design of Life: Inherited Traits, Genetic Dysfunction and Artificial Life" by Vexen Crabtree (2007). Many religionists, especially conservative Christians in the USA and fundamentalists around the world, oppose Humankind's intervention in genetics. 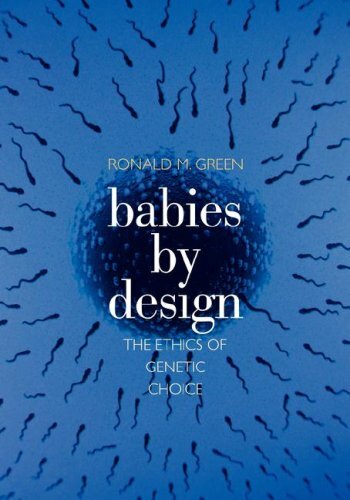 "Some, like Leon Kass, the former head of President Bush's bioethics council, regard genetic interventions as humankind's contemporary replay of the Tower of Babel episode"21. They say we 'shouldn't play God', that genetic engineering is a Promethean seizure of God's power. 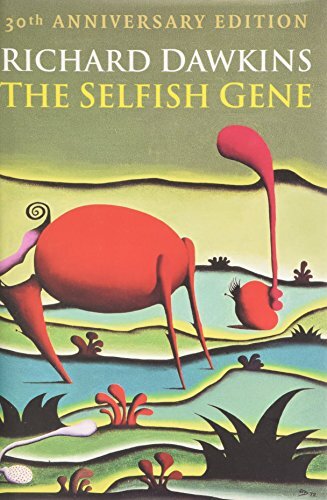 A poll in 1997 revealed that 70% of Americans said only God should have the power to interfere with inherited traits, following on from polls in the 1980s that saw two-thirds of Americans declare that the altering of human genes was against God's will21. Firstly, God doesn't have control over inherited traits. If there is a God, and it designed the way nature works, then it relinquished its control of inheritability when it chose to create genes. Genes are subject solely to the deterministic laws of physics and chemistry. These laws run without God's interference; the genes that we inherit result from natural cause and effect in accordance with fixed physical laws, not from God's will. There is only one reason why God would create such roundabout way of facilitating the inheritance of traits: because it wanted to place genetics within the grasp of human biological sciences. If it did not want us to consciously examine and improve our genes, then God would not have made them accessible. Traits would be picked by god and bestowed upon individuals by magic, without a physical intermediary (DNA) doing the job. If God is all-powerful and all-knowing, then DNA exists in the physical world (rather than the spiritual one) for a reason: God has placed DNA within our reach to see what we will do. This argument is related to theodicy, 'the problem of evil' - if God is good, why are so many elements of the created world bad? - see my collection of essays on this subject on www.vexen.co.uk. The desire to eradicate disease is the desire to help others; it is a moral impulse derived from our best social instincts. The expression of this desire through advanced science provides us with new methods of preventing disease. If God's test is to see if we will do the right thing, then, my bets are with the geneticists. Those who wish to let disease run its course, and let mutant genes continue to cause disease, are the ones who are interfering with God's will. It is God's place to punish humankind for transgressions, not our place to punish ourselves (and those around us) by failing to fight disease and biological dysfunction. Thirdly, exegesis: Christians will remember that in their 'Old Testament' it implores humankind to govern nature. God has placed DNA within the realm of nature, the same as it placed seeds and plants within our grasp. We took those seeds and plants and selectively bred them to create many crops that over thousands of years, have become intensely genetically modified by us. Consider that the Bible grants us "animal husbandry". There was no phrase in the Hebrew vocabulary for genes or evolution, but husbandry is a sexual term that implies the act of mixing male chromosomes with those of a female egg, to produce life. This is genetic in nature. The next section on this page details advances we have already made with crops and with our creation of domesticated species such as cows, pigs and cats. These animals did not originate in nature - we created them without causing the heaven's to rain fire on the Egyptians or Indians. Human achievements with crops and domesticated animals are much more extreme that the simple genetic engineering changes we would implement now, such as removing genes mutations that cause certain diseases, and adding vitamin-producing genes to common crops. This is small fry to what we have already achieved. It's not that the religionists are opposed to the results, it's just that they perceive continued scientific achievements to be a threat to their general religious worldview. Finally, genetic engineering may aid in the fight against the Devil! Genetic engineering will eventually absolve us of the need to kill livestock to feed ourselves. Researchers have already grown meat in laboratories, from germlines extracted from animals23. Such meat is the real thing, but is grown without the need for a living organism surrounding it. It is maintained by the laboratory as fresh, non-living meat. Manufacturing on reasonable scales in so far impossible, but in the future it will be possible, and the barbaric era of animal slaughter will start to enter history for good. This underlines our final argument. The food chain is designed so that in order to survive, living beings have to kill and destroy each other. The whole food chain is based on blood and death. This is the design of an evil genius, not of a good god. Likewise for gene mutations (which cause the suffering of many innocent and unborn children) and other biological dysfunctions. No good God would have created such a flawed biological world. If it genetics is a chance at dashing the devil's (apparent) designs, then, we should give no hesitation! People claim to be risk-averse when it comes to highly-tested synthetically grown meat, and genetically modified plant produce, which is known to be safe, but, continue to eat foods that are known to have bad risks. Cancer Research UK report that "experts think that about a quarter of all cancer deaths are caused by unhealthy diets and obesity"25. It is not, therefore, that people mind the risks of meat grown in vats, but, that they don't like new foods. Therefore the opposition to synthetically grown meat is at least partially (or greatly, given the difference between normal risk-taking and GM risk-taking) a result of neophobia. The best course of action against neophobia is simply to slowly introduce the new foods, and let people get used to them over a generation or two. Another hint that something psychological is going on is the correlation between those in the Eurobarometer poll who said that Humans have a duty to protect nature, and those who think that we should grow synthetic meats so that we no longer have to slaughter (or keep) farm animals. There isn't a correlation between the two groups19. Those who want to protect nature, and animal-rights activists, are largely against the growing of synthetic-natural meats. It would make sense that in order to protect nature, end farm captivity (even if not completely), and end animal slaughter, we should grow food that surpasses the need for those things. The fact that those people are against vat meat must mean that there are additional, psychological components to their opposition. You would think that, given the massive alterations to natural species we have engineered in cattle, and the painful and distorted lives that they lead as a result, would mean that we would wish to change the status quo in food production. Neophobia beats rationalism. 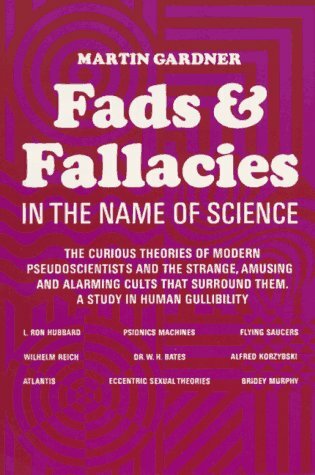 See: "Fad Diets and Pseudoscience: Let's Stop Falling for These Tricks" by Vexen Crabtree (2014). “Diet has an impact on health and affects the risk of disease27. Over the last few decades biochemical and other sciences, from neural to gastric, have made impressive contributions to our knowledge28. Never before have scientists known so much about food and nutrition. Unfortunately much of this knowledge is not reported by the popular press and news outlets because it is technical, mundane and statistical in nature. The average consumer mostly hears only the sensational claims of pseudoscientific sham researchers and promoters, which are often paid for and orchestrated by the rich food industry itself. The two most misleading sources of information are reports based on single-studies and TV adverts. Most people are ill-informed about diet and health as a result of this. What appears at first to be a purely technical matter; studying the rise of energy from basic single-cell life forms through the trophic levels to the predators that gather food over massive areas, can lead us to some serious exobiological, philosophical and even theological debates. Firstly, advanced alien life is likely to find it hard to gain enough energy to survive from digesting us alone, so probably won't be inclined to try. But alien life may well use different metabolic pathways and different biological chemicals so we may find each other utterly inedible and potentially very poisonous. If life in the universe is generally carbon-based, then, it is possible aliens could digest at least parts of us. But they probably won't, as space-faring advanced species have probably out-grown genuine carnivorous diets, as perhaps we are doing by relying on increasingly processed food (eventually grown in vats) coupled with increasing care for animal rights. Now, dietary exobiology aside, the very fact that life evolved from its unconscious, automatic beginnings, to rely on a cycle of life and death (where life survives by killing other life) indicates that if the cycle of life has a 'designer', such a God is an evil one. Only an evil God would design life so that to stay alive, animals have to kill other animals. This 'victory of death' is the exact opposite of what a good god would have designed, where all animals and plants survive on mystical energy from heaven without need for killing or competing for food (a mythical 'victory of life'). Philosophy Now magazine. Published by Anja Publications Ltd.
(2005) "God Must Be Evil (If It Exists)" (2005). Accessed 2019 Jan 13. (2006) "Zombies Verses Vampires: The Elite Verses the Masses" (2006). Accessed 2019 Jan 13. (2007) "Evolution and the Unintelligent Design of Life: Inherited Traits, Genetic Dysfunction and Artificial Life" (2007). Accessed 2019 Jan 13. (2009) "The Worst of the Modern Mass Media" (2009). Accessed 2019 Jan 13. (2009) "General Neophobia in Everyday Life: Humankind's Fear of Progress and Change" (2009). Accessed 2019 Jan 13. (2003) The Origin of Life. Originally published 1998 as The Fifth Miracle. Current version published by the Penguin Group. A paperback book. (2004) A Devil's Chaplain. Originally published 2003 by Weidenfeld & Nicolson. Current version published by Phoenix of Orion Books Ltd, London UK. A paperback book. (2005, Eds.) 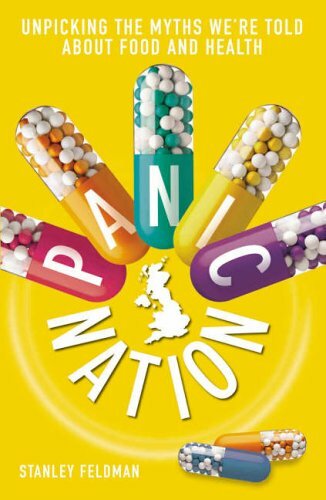 Panic Nation: Unpicking the Myths We're Told About Food and Health. Published by John Blake Publishing Ltd, London, UK. Edited by Stanley Feldman and Vincent Marks. A paperback book. (1993) The Nature of the Environment. 3rd edition. Originally published 1984. Current version published by Blackwell Publishers, Oxford, UK. A paperback book. (1989) The Social Face of Buddhism. Published by Wisdom Publications, London, UK. A paperback book. (2009) "Science and Pseudoscience in Adult Nutrition Research and Practice". In Skeptical Inquirer (2009 May/Jun) p35-41. Dr Spector has served as a professor of medicine, pharmacology and/or biochemistry at Iowa, Standford and Harvard MIT. Is currently clinical professor of medicine at the Robert Wood Johnson Medical School (New Jersey, USA). 2012 Aug 06: Epanded the section on Synthetically Grown Meats and lightly re-organized the rest of the page.